A friendly reminder that early bird registration ends on April 30th. Join us in Akron on May 16-17, 2019, for two days of Invention and Innovation! Much more information on the conference page! Follow along on Twitter at #soaam19. Pre-conference workshops led by Drs. Karen Gracy and Heather Soyka, held at the Kent State University Library. Early bird pricing for SOA members: $30 for 1 workshop or $50 for both! Early bird registration ends April 30th. Evening Mixer at the National Museum for the History of Psychology, where you can tour the museum and mingle with colleagues. 6:00-8:00 p.m. / $25 to register. Registration closes April 30th. Annual Meeting at the Hilton Akron/Fairlawn Hotel from 8:15 a.m. to 4:30 p.m. The day starts off with a plenary from Kathleen Roe, past president of the Society of American Archivists. Her talk, “Reimagining the Future of the Archival Past,” will focus on the future of archival work, including ensuring our institutions collect materials that reflect a comprehensive, inclusive past, conveying the value of archives in meaningful ways to a wide range of users and audiences, and stepping forward to strengthen our profession and its role in our communities and society. 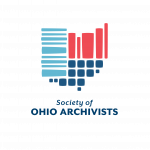 Join us for sessions on building a diverse repository, collaborative projects, job hunting, processing collections, and teaching in the archives, as well as mini-workshops on advocacy and records management. Attendees will also have the option to attend poster sessions, mock job interviews, and bid in the annual silent auction. This entry was posted in Conferences / Meetings, Meetings, SOA Spring Conference, Workshops on April 16, 2019 by Sherri Goudy.